Need to start earning fast? 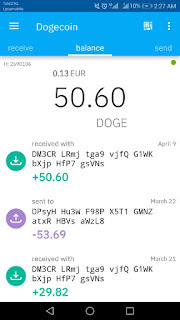 Check our favorite faucets to earn some free crypto such as BTC or Dogecoin! Can you earn BTC with crypto games? And how much can you earn? All the answers inside. Coinomi is a cryptocurrency wallet that came on the market in 2016. This wallet quickly grew popular thanks to the design, and ease of using. All you needed was a computer or phone. Later that year they developed an iphone app and distributed that wallet on the store and on their website. Links to the download of Coinomi and mirrors are located on the official website. What can you do with this cryptocurrency wallet? Coinomi is a wallet for your coins. 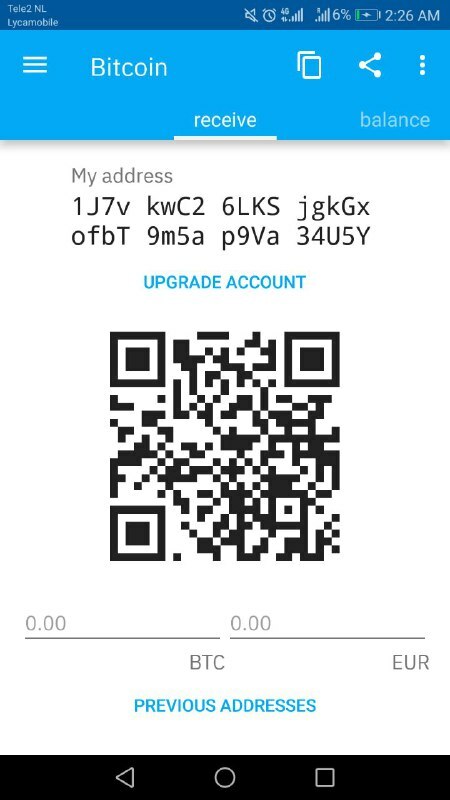 Normally when a person wants to store their coins they have to download the official wallet for said coin, wait for the blockchain to sync and look at an unpleasant interface. 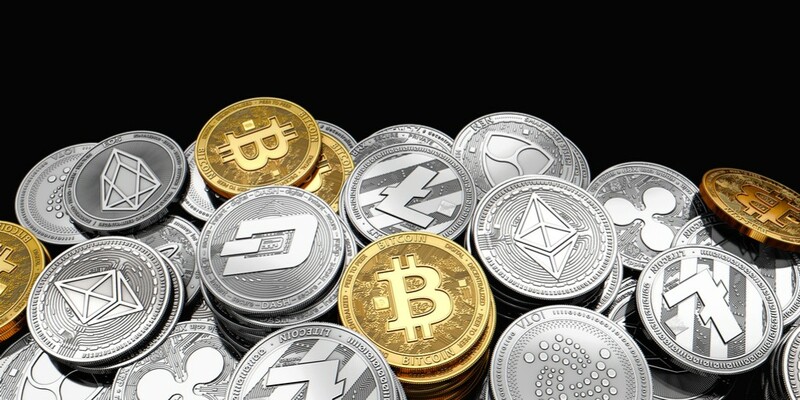 This cryptocurrency wallet gets rid of those problems by bypassing the problems of handling a lot of wallets and filling your harddrive with blockchains. 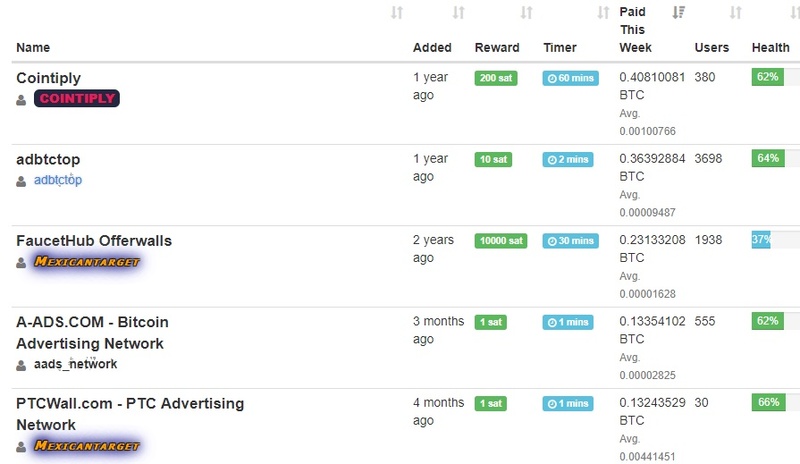 All you have to do is click on "Add coin" and you can add almost any coin that is mainstream. Are my coins safe with Coinomi? Your coins are held on your phone. They are fully your responsibility. Private keys are available, and there is a requirement to set a password. This will keep your coins safe in case your phone gets stolen. The thief can not use the wallet in that case. Coinomi can not access your funds at any time and you should never give your private keys to someone you think you trust! So yes, your coins are safe with the wallet. How to use the mobile wallet? After installation add a new coin. To receive cryptocurrency click on the coin name, and press the tab about receiving. People can scan your QR code or send crypto to the listed address. 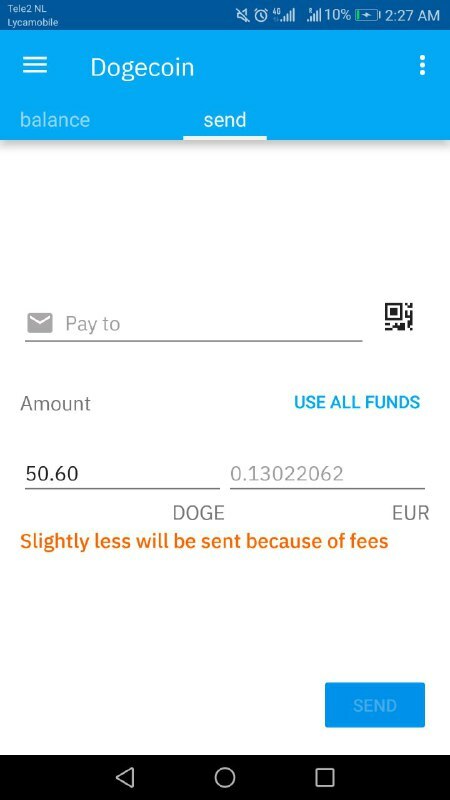 To send coins go to the "send" tab. 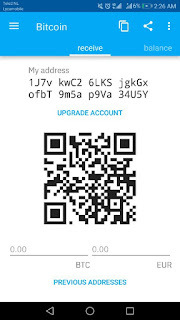 From here you can scan QR codes or input public wallet addresses to move cryptocurrency. For example, if an exchange asks you to deposit funds to a certain wallet, you would input that wallet address here. The send function also shows you how much you are sending in USD. Reaching your balance can be done by clicking on the "balance" tab. This page will show all transactions done to and from that address. There is not much more to the use of this wallet. It works really easy in my opinion and is secure. 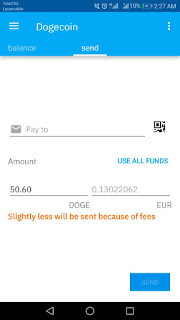 Desktop version might look different but should work the same as the mobile wallet. What other features does Coinomi have? You can accept payments by QR code, and send to QR codes which makes it easy to pay for something online. There is a possibility to add Smart contract tokens. Ethereum is supported at the moment. 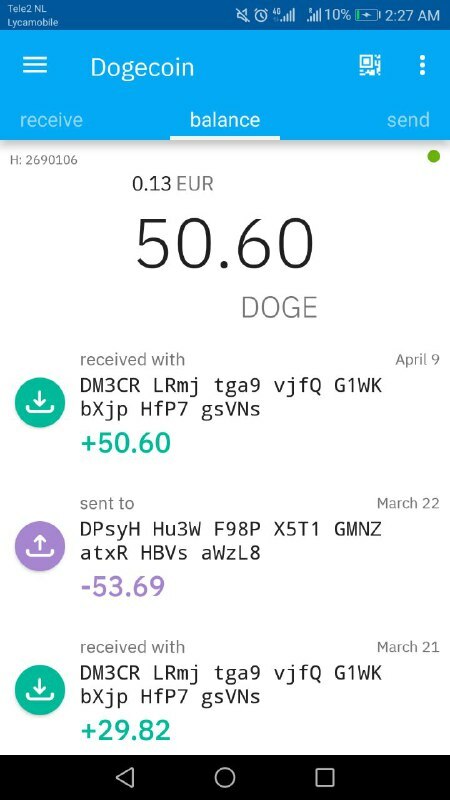 I use Coinomi all the time and can verify it is a legit wallet. What do you think? Is it a scam or legit wallet for cryptocurrency? Make sure to check this webbrowser that pays you for working passively. This is the ultimate list to making Bitcoin on Telegram. Telegram is a popular chat app on Android and IOS. With this chat app you can message friends, open secret chats and use a lot of stickers. It is a free app to use which you can easily download. All you need is a phone and a phone number to connect to the app. The phone number allows the app to find contacts that are already on Telegram so you can message them easier. 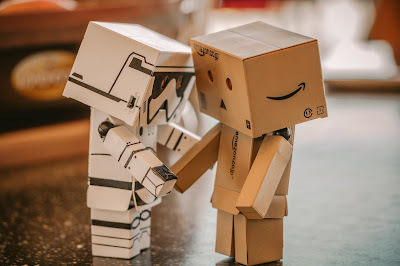 Apart from the usual chatting features you can also talk with bots on Telegram. These bots are automated scripts that have set responses when you send a command to them. Some of these bots have build in faucets that can help you earn money. Below is a list with the best paying Telegram bots that paid me. So I know they are legit. Make sure you have a wallet for the following bots. I recommend you get Coinomi from the app store. That wallet supports every coin on this list. The most popular faucet bot on Telegram. With this bot you can earn free Dogecoin. The same bot as the Dogeclickbot, but than for Litecoin. With this bot you can earn free Litecoin. Less popular than the Dogecoin bot which means tasks can run out once in a while. Check back daily to see new tasks pop up. This bot exclusively uses Bitcoin cash. This coin pays in ZEC. You can trade it on various exchanges for your preferred coin. This bot works a bit differently but pays very good. You get 100 Bitcoin satoshi for joining a channel. Usually around 3 to 7 tasks available on the bot. The only bot on this list that pays in Ethereum. Not many tasks available but they are high paying and can pay up to 1 MiliEth. This bot pays you in Bitcoin. You get 100 Satoshi for every channel you join. From the same makers as the Extra Money bot on Telegram. Also pays around 100 Satoshi. This bot pays in Ripple, Doge and Litecoin. These are the top paying bots on Telegram that you can use to make some money on the road. Do you have more that you like to share? Post them in the comments and we will add them to the list. Want to earn more Bitcoin? Reinvest your earnings to promote Cryptotab. With 10 level referrals you are bound to make a good amount of Bitcoin! 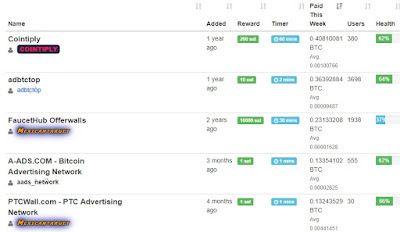 If you have a website or faucet you can use this website to display advertising such as pop-unders and banners to earn money. It is tough to stand out from the crows these days with a lot of new crypto and projects showing up each day. With a good advertising network you can make sure you have interested visitors that would be likely to convert. The conversion, of course, all depends on your website. Some sites tend to do better than others. Overall Coinzilla.com provides quality and unique traffic that normally would not see your website. Sign up for an account, deposit BTC and start a campaign. You have the following options. When people visit a site and click something, your site will load in the back ground. Most people are not interested in pop ups because they are interrupting, but pop unders are usually converting much better because they do not disrupt the visitor while browsing. Instead they see it when they are done with browsing, potentially looking for something more interesting. And they will see your ad then. Displayed across hundreds of websites coinzilla provides banner advertising. If you are looking for brand recognition or getting interested clicks this is a great option. I personally advertise here with a .GIF banner with great conversion rates. Register an account and follow the verification process. They will inspect your website and see if it follows the rules. General rules are that the site is supposed to be Safe For Work. This means that you are not allowed to send in Adult sites. Also not allowed are traffic exchanges, or low effort blogs. After verification grab the HTML code and paste it between the <body> and </body> tag to display an ad from coinzilla. You can also earn from the affiliate program. Whenever someone clicks on the coinzilla link from an advertisement and signs up you get 10% bonus on top of their earnings. If your referral makes a deposit worth $100 or earns $100 you earn $10 for doing nothing at all! How to withdraw from Coinzilla? Minimum withdrawal is only 0.001 BTC, around $5. This is a very low and easy amount to reach if you have some traffic on your website already. Withdrawals are approved manually. What are your opinions on Coinzilla? Show us your payment proofs in the comments. 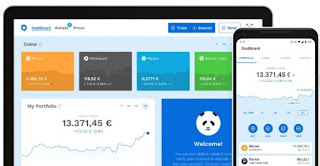 Bitpanda.com is a site on which you can buy and sell cryptocurrency such as Bitcoin. Why would you use Bitpanda? Lets say you are looking to buy some Bitcoin. Coinbase has a waiting list, and other websites are slow to transfer or offer bad exchange rates. Bitpanda is the alternative. This is a great exchange to use if you live in Europe since the website is focused on helping European members exchange cryptocurrency. As of now most payment processors are accepted so far I have seen on the website. The most important ones are: Bank transfer, Neteller, Mastercard, Ideal, Creditcard and much more. How do I buy Bitcoin on Bitpanda? First register and verify your account. After verification you can head to the buy and sell tab and place an order. Ordering goes very easy. All you have to do is input the amount of coins you want and the site will automatically calculate how much you should pay. Top of you balance with money and you can finalize the trade. You can also deposit beforehand to make sure your trade goes through the moment you place the order. They also have an app available on Android for trading purposes. What do you think of Bitpanda? Did you use it to trade before? We used Bitpanda successfully and think the site is legit. Tell your opinion in the comments. Faucethub is a microwallet service with hundreds of faucets for a lot of coins including Bitcoin. On this website you can earn Bitcoin and altcoins by entering captchas or entering surveys. This site was an answer to the plenty of faucets that have a high withdrawal minimum to combat fees. With Faucethub everything is integrated into one main wallet that is always accessible. How can you earn with Faucethub.io? There are plenty of ways to earn but we will outline the most important features of the microwallet service. Faucets are websites that offer you free cryptocurrency when you watch an ad or two and enter a captcha. The captcha is added to protect against bots from claiming, thus reducing rewards for people like you and me. There are hundreds of faucets available for you to claim. There is a dedicated page on Faucethub that shows all the faucets that are integrated with the service. On that page you can also see how much everyone withdraws from the faucet, and how much balance the faucet has left. Example of faucets that are on faucethub. Faucethub has an integrated miner that can mine satoshi for you. 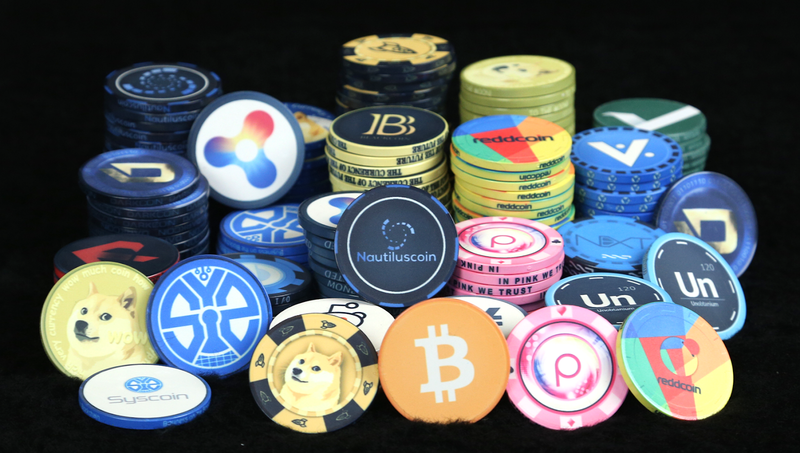 However there are third party sites such as Cointiply connected to Faucethub that can earn you more satoshi for mining. It is still a nice option because it is entered directly into your wallet. There are many offers available such as PTC ads (getting paid to click on advertising) and surveys. Surveys pay you to enter information about what you think. Make sure to enter those truthfully so you are not disqualified. There are also tasks which will ask you to do things such as google a certain service and reviewing it. When you are from a western country you will see many offers that have a relative high pay. 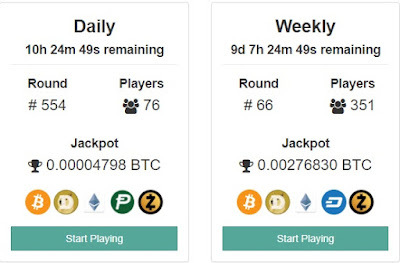 If you feel lucky you can try three games that might help you win some Bitcoin. 2. Rock Paper Scissors. Same as the basic game. You play against other players. 3. Lottery. Get a chance at winning multiple coins. Another profitable way to earn money on Faucethub is by referring friends, or people on your website to Faucethub. You receive 2% of their offerwall earnings, and 2% of their mining earnings. This bonus is not taken from the referral, it is a bonus. You can refer as many people as you want to the website. Bearprofit.com is a cryptocurrency CPA network. A CPA network is a website in which you can quickly find affiliate offers, and be ensured that you are getting the highest referral rates. Most CPA networks maintain your balance on one site. This makes it easier to promote multiple offers while getting all the conversions paid in a single account. What can you do with Bearprofit? Sign up and verify your account. Check your spam folder to find the verification email. After verification you get access to your dashboard which you need if you want to promote offers. Make sure to enter your Skype details to get in contact with a manager who can help you find the best converting offers. As you can see there is a lot of information about offers. When you click "get link" you get a link which you can use to promote the offer. Depending on the earning model you get a bonus or revenue share. Bearprofit has an API available so you can integrate the offers with your own website and make it easier to advertise the offers. This can also help you with always having up to date offers. Withdrawals are done upon request. 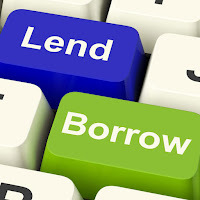 After you have got your first lead request a payout. Payouts are done with USDC Stablecoin. These can easily be exchanged on exchanges. USDC Stablecoin is pegged to the Dollar 1:1. What do you think about this Crypto affiliate network? Is bearprofit.com a legit site or a scam? Click here to see our article about the best converting affiliate program with 10 levels. Honeyminer.com is a newer miner that helps you earn Bitcoin online. 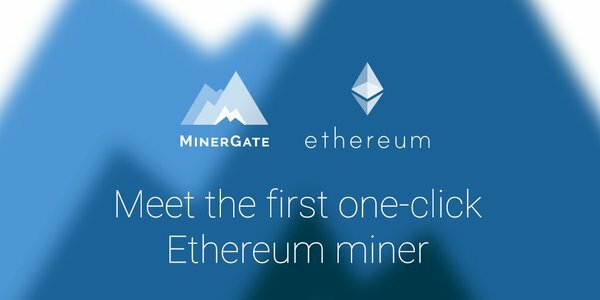 There are not that many reviews out there on the internet about this program so I will try to give you the most detailed review possible with all the pros and cons about this cryptocurrency miner. Simply register, download and install the software and you are set to start earning. You might need to disable anti virus because running a miner can trigger some anti virus software. Why should you use honeyminer? - Very detailed information about your mining equipment. You can even see temperature in your dashboard! - A miner console to make sure you can interact directly with your mining equipment. - You can mine with either your GPU or your CPU. This can improve earnings. - Level up system. You get free Satoshis once in a while when you mined enough to level up. - 2 tier referral scheme. Referrals on two levels are paid. - People who use a referral also get a reward. The higher the level of the referee the higher the reward for the referral. - Very good hashes because it is a dedicated piece of software. - The program can be set in "idle-mode" which means the mining software stops the moment you use your computer. This can come in handy when you use your main computer to mine. What Cons are there to Honeyminer? - Not detailed enough for people with big mining farms. - Some graphic cards are not recognized. I personally had no problem getting mine to be recognized but some people report theirs wont work. 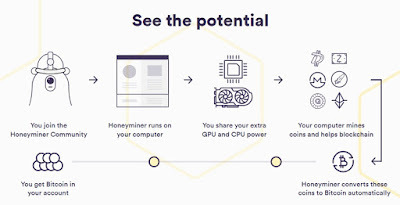 Honeyminer will always find the most profitable cryptocurrency to mine and give you the reward in Bitcoin. Coins you mine are not auto converted. 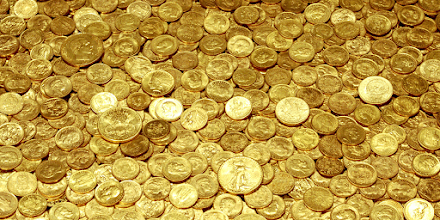 If you want you can keep coins you mine and hold on to sell later when prices may increase. Depending on the market this can be a profitable business and increase your earnings. What are your experiences with Honeyminer.com? Is it a scam or legit? Also try our new mining software that pays up to 8x higher than other crypto mining software.